My daughter’s school has a strict policy on bringing in treats, which made me extremely disappointed in the beginning because you all know how much I love my sweets. 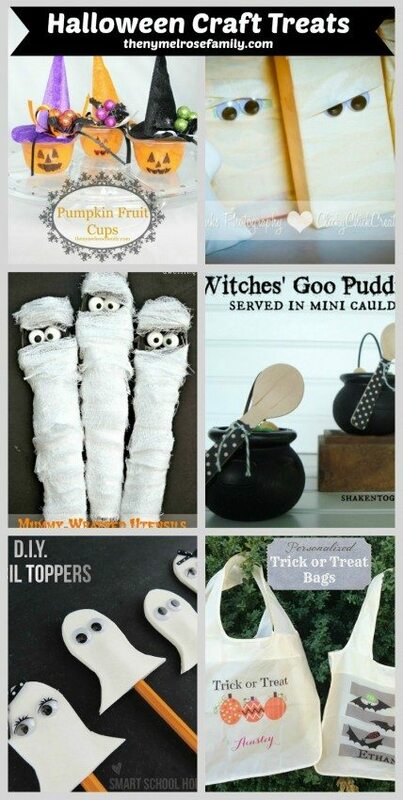 I’m adjusting though and I’m trying my best to come up with some adorable Halloween Craft Treats that the kids will love. Luckily, Whimsy Wednesday gave me a ton of inspiration. Thanks so much for featuring my Yummy Mummy Juice Boxes : ) Loving your blog and all the creativity!